My employer is renovating our building, so my co-workers and I have been moved to a temporary space. 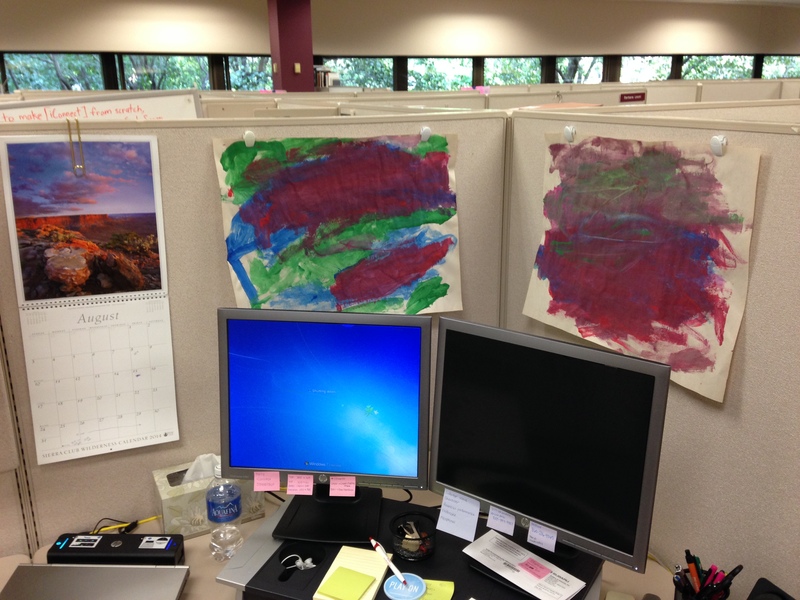 It’s much less homey than our last location, but a little kids’ artwork spruces it right up. Loving looking at this stuff throughout the day.